Metformin is one of the most commonly used oral hypoglycemic agents in the treatment of type 2 diabetes mellitus. Toxicity related to accidental or intentional ingestion of metformin is well reported in the pediatric literature. 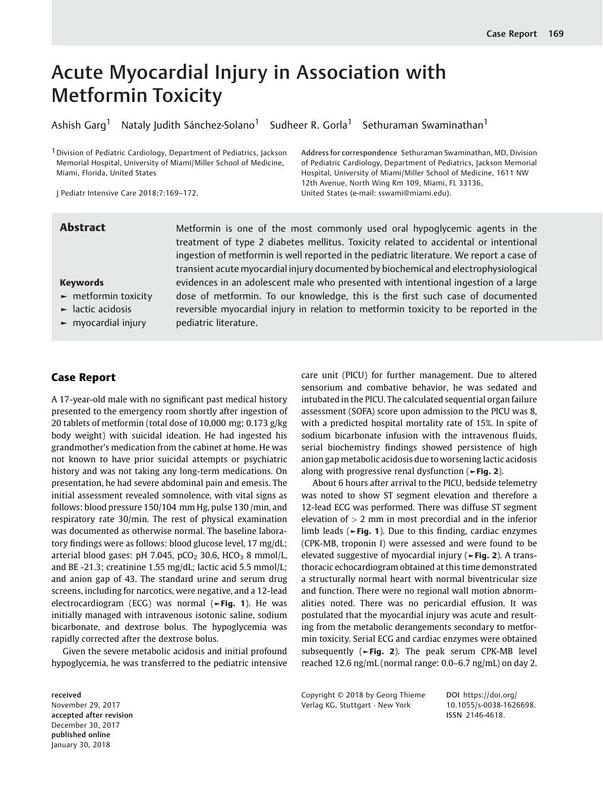 We report a case of transient acute myocardial injury documented by biochemical and electrophysiological evidences in an adolescent male who presented with intentional ingestion of a large dose of metformin. To our knowledge, this is the first such case of documented reversible myocardial injury in relation to metformin toxicity to be reported in the pediatric literature.